the 18 x 1.5/2.0 ml rotor in a very short time to approx. 16,000 x g.
Vacuubrand has introduced the Vacuu·Select controller, an application-based controller with a touch screen display for all of your lab-scale vacuum processes. The Vacuu·Select controller has you covered. Use manual set-point-control for simple processes, run fully automated distillations or create your own application with simple drag-and-drop editing. To use pre-defined applications, simply select your application and press start. The controller independently manages the vacuum process to completion. For solvent evaporation, the Vacuu·Select controller detects boiling points and adjusts the vacuum process as necessary. You can virtually forget about the vacuum process and devote your attention to other tasks. 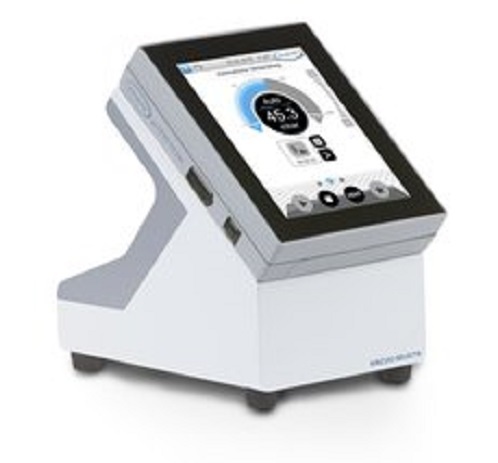 The Vacuu·Select controller is an easy-to-use, efficient controller for your lab. High-performance homogeniser with electronic speed control and a large variety of dispersing heads for many fields of applications. In combination with an IKA laboratory reactor it is also possible to conduct dispersion tasks under vacuum or pressure. 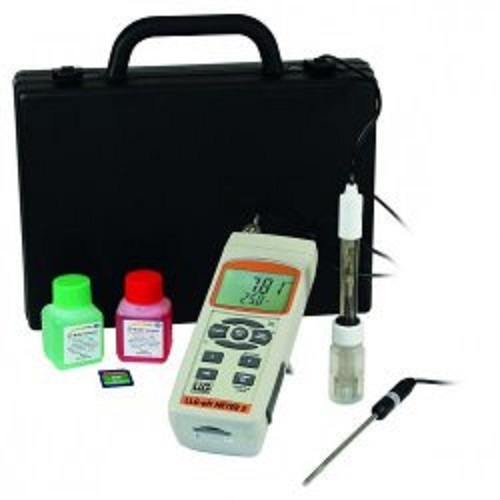 The LLG pH meter 5 is a very easy to use pH/mV/°C handheld meter. 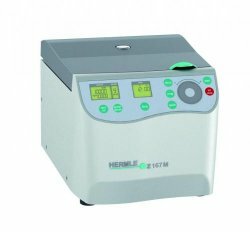 The pH value and temperature can be stored directly on the SD card (Excel file) or transferred directly from the pH meter to a PC via the RS-232 interface. Reagecon offers an exciting range of certified, accurate and traceable Viscosity Standards. 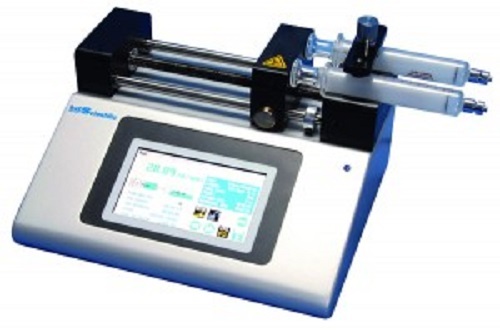 These products can be used for calibration, control, verification, qualification or method validation of kinematic and dynamic viscosity measurement instruments (both manual and automatic). 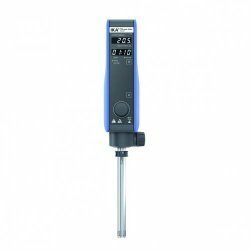 All of the products are traceable to the ITS-90 Temperature scale and the universally accepted Primary Standard value of the viscosity of water at 20°C, defined as 1.0034mm2/s (cSt) by ISO3666. touch screen enables the user to quickly create configurations and recall them for ease of use. 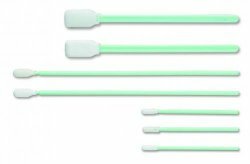 Single syringe, single remote syringe, dual syringe and multirack configurations are available along with the infuse only or infuse/withdraw/continuous operation (model dependent). durability. Equipped with innovative 3M™ Pressure Diffusion Temple Technology, these safety glasses fit comfortably over your ear while providing a secure fit, so you can focus on the task at hand. The pliable arms flex to fit nearly every member of your crew, while soft-touch nose pads and ear piece inlays deliver all-day comfort. The contoured, wraparound design fits close to your face helping to block small flying objects or particles, while providing essential protection from harmful UV rays. The slim, flexible temples pair well with hearing protection for comfort. 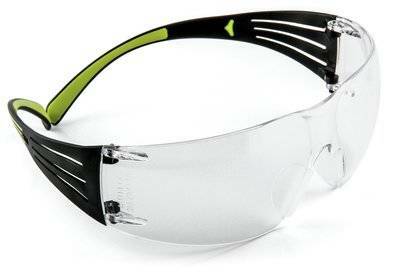 These sleek, modern safety glasses are available in three lens types, so there's a pair for a variety of projects. When it comes to your eyes, don't compromise reach for the protection and engineered comfort of 3M™ SecureFit™ 400 Safety Eyewear. Burette according to Dr. Schilling with splinter protection, with Schellbach stripes, automatic zeroing system and Bürkle dosing device. 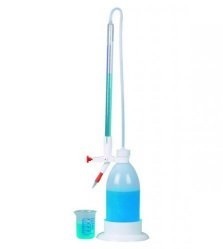 The glass burette is covered with a plastic sheet which increases the tensile strength and serves as splinter protection. The probability that the burette breaks is reduced compared to conventional burettes and even in case the burette breaks, no dangerous splinters will be produced. Parafilm® M can be stretched up to 200% and clings around irregular shapes and surfaces, is resistant to many polar substances such as saline solutions, inorganic acids and alkaline solutions for up to 48 hours. (After this time it may become brittle). Reagecon has been growing steadily, but has up until now, not embraced ecommerce. The company has been employing traditional sales and marketing techniques. These include the use of a well motivated sales force, catalogues, exhibitions, advertising in trade journals, technical white papers and other marketing collateral. We had a very poor website and virtually no SEO capability. “We were inundated with technical enquiries, stock availability, supply chain, delivery and transport enquiries” says Tom Neylon, Sales Manager at Reagecon. There was significant scope also for order handling improvement, every order was entered manually into our ERP system.